NAIROBI, Kenya—Countries in the Horn of Africa continue to face a growing threat from extremist Islamic groups, particularly the Somali militant group al-Shabab. In recent years, the problem has largely been compounded by rising levels of youth unemployment, according to security analysts. “We cannot underestimate the nature of the problem; this is a major regional security challenge,” said Mutuma Ruteere, director of the Center for Human Rights and Policy Studies, a Kenya-based regional security think tank. Ruteere, a former U.N. special rapporteur on contemporary forms of racism, racial discrimination, and related intolerance, says violent extremism has also become a social problem for communities and families, which have seen their young men and women embrace ideologies of groups like al-Shabab, and even sign up as active members. “It is for sure one of Kenya’s major security challenges,” he added. 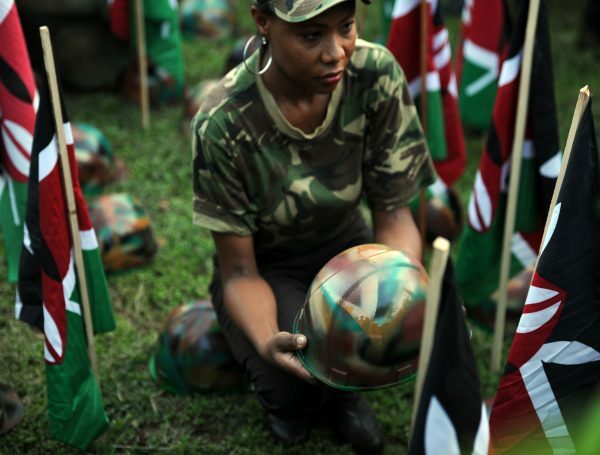 Kenya has suffered a string of deadly terrorist attacks in the recent past since sending its troops into Somalia in 2011 to fight against the al-Qaeda affiliate in East Africa. 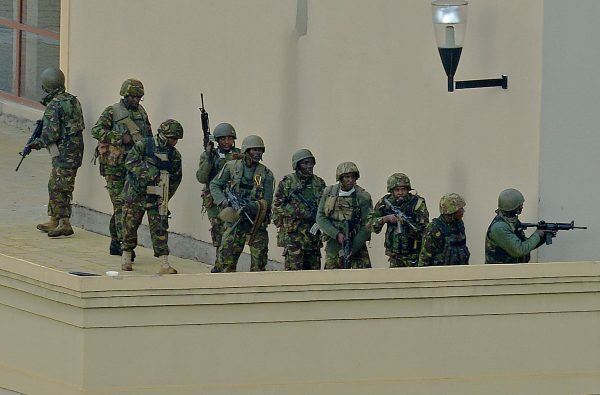 The Somali militant group al-Shabab has claimed responsibility for major assaults, including the 2013 terrorist attack on Westgate shopping mall in the Kenyan capital, which killed at least 67 people and left scores of others wounded. In April 2015, the terrorist group carried out another massacre on Kenyan soil when the extremist fighters attacked Garissa University College, killing 148 people, the majority of them students. 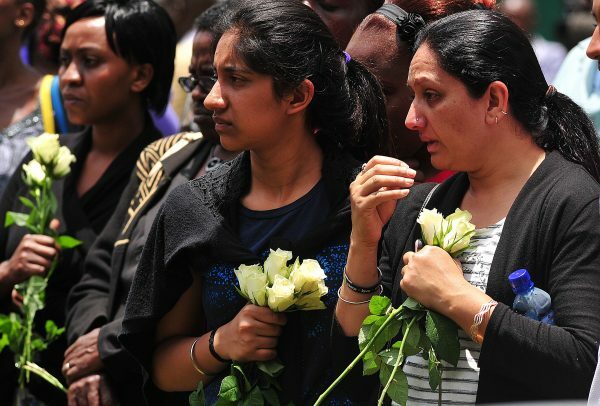 Officials said the Garissa attack was the deadliest in Kenya since the 1998 terrorist bombings of the U.S. embassies in East Africa, which claimed more than 200 lives, including 12 Americans. 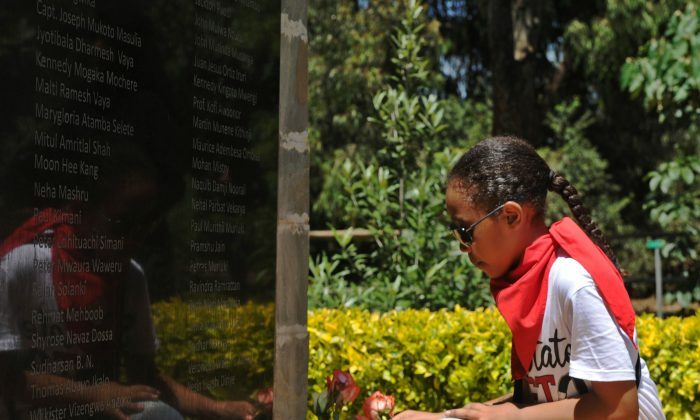 But as Kenya marked five years since the Westgate Mall massacre on Sept. 21, the memories of the event still lingered. Eunice Kavetsa, 30, whose husband was among the security guards killed by the attackers, said the deadly incident is still fresh in her memory. “I still live in fear five years later,” said the mother of two children. She said that on that fateful day, her husband, Maurice Adembtsa Ombisa, had been called by his junior colleagues to find out why the would-be attackers did not want their car to be inspected by security guards. No sooner had he arrived, than he was shot at point-blank range and died instantly. “It’s not been easy coping with the trauma,” Kavesta said. But Kenyatta said Kenya remained unbowed. “It is a war that we shall not let up,” he added. Kenyan officials say security agencies have effectively reduced the attacks by al-Shabab. “It has taken many years to learn, but overall, we have seen significant progress in reducing the incidences of attacks, especially in cities and urban areas,” Ruteere said. According to the report, titled “Al-Shabab Five Years after Westgate: Still a Menace in East Africa,” the Islamist group appears committed to striking targets across East Africa. As a result, the militant group continues to pose a security risk, despite its weakened capacity. Murithi Mutiga, a senior analyst at ICG, said that “al-Shabab remains a threat, it’s a potent threat,” but that they are less likely to stage regular assaults, especially in major urban areas. Security experts say that al-Shabab has in recent times found new areas of operation, including forging links with militants in southern Tanzania and northern Mozambique. Analysts say authorities remain alert, even as security agencies adopt new ways of confronting the problem. “Remember, those involved in violent extremism are also adapting,” he said. In a bid to tackle the growing threat from extremism, Ruteere said the Center for Human Rights and Policy Studies has launched an online platform that focuses on countering violent extremism. Some say youth unemployment and religious and ethnic marginalization are the root causes of radicalization among Kenyan youths. To contain the growing threat, the ICG report says authorities should avoid blanket arrests and extrajudicial killings, and involve local leaders in efforts to tackle recruitment. They should also take steps to address broader grievances that the Islamist insurgents exploit, including the political and economic exclusion of Muslim minorities in East Africa. 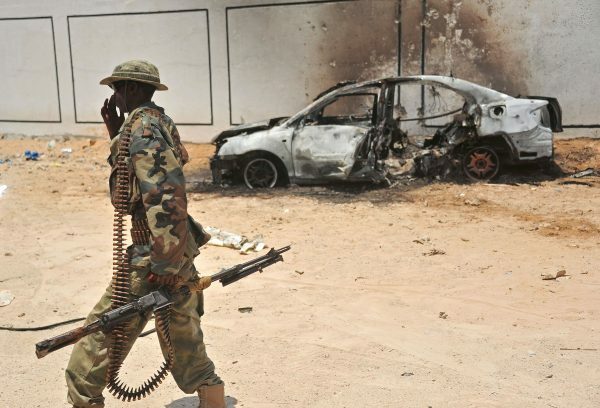 According to the researchers, the Somali terrorist group is likely to remain a formidable force inside Somalia and a menace in the neighboring countries in the Horn of Africa.